Dingle Oceanworld fully respects your rights to privacy and is committed to strict adherence to General Data Protection Regulations (GDPR) which become fully effective on 25 May 2018 as well as the provisions of the Data Protection Act 2018. Dingle Oceanworld, The Wood, Dingle, Co Kerry. If you wish to contact us on any issue regarding your data protection, the following are the contact options. This Privacy Statement sets out how Dingle Oceanworld uses and processes any information that you give to us. We respect your privacy and are committed to protecting your personal information. This Privacy Statement explains how we collect, transfer, process, use and disclose your data and sets out our security practices. Any personal data you volunteer will be used for the purpose for which you supply it and will be treated with the highest standards of security and confidentiality, strictly in accordance with General Data Protection Regulations. 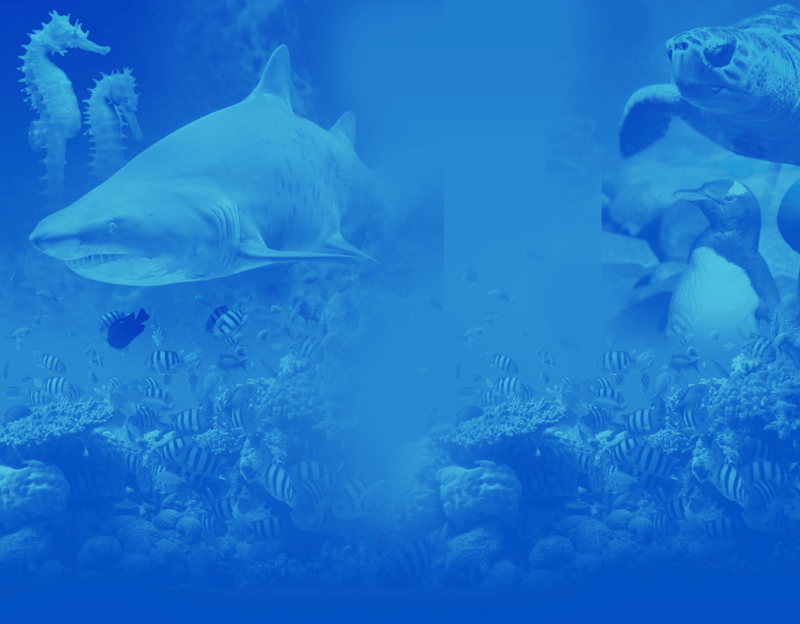 Dingle Oceanworld collects and uses your personal information (PI) to provide the services and supports that we offer and that you have requested. Your information will only be used for the purposes of provided information support or services to you. We are not affiliated with any other companies, bodies or entities of any kind and we will never share or disclose your personal data or information with any third parties. 2. if an employee as required by law for the periods specified. 6. for legal, contractual and other lawful compliance services. 7. to make you aware of special offers that we have or additional services that we may provide or add from time to time. The legal basis for processing your personal information is that you have explicitly given your consent to us. This consent can be given at the time of initially seeking our services or having read the company’s Privacy Statement providing explicit consent to our continuing use of the personal data you have supplied us. Subject to other applicable legal requirements, we intend, in general, to hold and include your personal data in our database for no longer than 3 years. This retention period is based on our experience that many people who visit us may wish to come back and visit us again and or may wish to hear from us with regards to special offers and other services that we may provide from time to time. Each individual has the right to withdraw their consent and have their personal information erased at any time. 4. Right to restriction of processing – where certain conditions apply to have a right to restrict the processing in accordance with Section 87 and Section 89 of the Data Protection Act 2018. 5. Right of portability – subject to certain restrictions, you have the right to have the data we hold about you transferred to another organisation where we hold it in electronic form. This right of data portability applies to: (i) personal data that we process automatically (i.e. without any human intervention); (ii) personal data provided by you; and (iii) personal data that we process based on your consent or in order to fulfil a contract. 6. Right to object – you have the right to object & opt-out of certain types of communication. Please note that we do not engage in direct marketing of any kind to those who have either not subscribed to our database or made a request for information/offers. We do not disclose or share your personal data with any third party. Any correspondence or literature that we send you will be requested directly by you. All of the above requests can be directed to Dingle Oceanworld contact point listed in this Statement. They will be forwarded on should there be a third party involved in the processing of your personal data. We also automatically collect information about your computer browser type and operating system, websites you visited before and after visiting our websites, standard server log information, Internet Protocol (IP) addresses. We aggregate this information to understand how our visitors use our website and mobile applications so that we can improve them and the services we offer. These analytics do not typically identify individual users. 1. the total number of visits to our website. 2. the number of visitors to each page of our website. 3. the domain names of our visitors’ internet service providers. Dingle Oceanworld will take all appropriate legal, organisational, and technical measures to protect your personal information. When Dingle Oceanworld uses a third-party service provider, that provider will be carefully selected and will be contractually required to use appropriate measures to protect the confidentiality and security of personal information. We use a variety of security technologies and procedures to help protect your PI from unauthorised access, use or disclosure. Unfortunately, the transmission of information via the Internet or a mobile phone network connection is not completely secure. Although we will do our best to protect your PI, we cannot guarantee the security of the PI you transmit to our website. Any transmission is at your own risk. While we cannot guarantee that loss, misuse or alteration to data will not occur during transmission, once we have received your information, we will employ appropriate technical security measures to protect your data. Dingle Oceanworld takes its obligations very seriously and adopts the strongest line in relation to the misuse of personal data or information by any of its staff or members. Any breach of trust regarding the confidentiality of information is treated as serious misconduct if an employee under the Disciplinary Code and can lead to sanctions up to and including dismissal. We may also disclose your information to contracted companies who act as “data processors” on our behalf. Our data processors include external consultants, professional advisers such as lawyers, software and technical support providers, IT consultants and marketing technology platforms and suppliers, credit controllers and fraud prevention companies and of course as required by law. We only share information with third parties who help us in the delivery of our services you. These third parties may not use that information for any purpose other than assisting us in providing these services. Any contact information that you provide through our system will not be sold/ rented/leased to any third party for selling or marketing to you. We will only provide third party companies with the personal information they need to deliver the appropriate service. We require all companies providing such support services to meet the same standards of data protection as our own. They are prohibited from using the information for their own purposes. We do not allow service providers to use your PI for their own activities. Any contact information that you provide through our system will not be sold/ rented/leased to any third party for selling or marketing to you. Our website and mobile applications may use technology called “cookies.” A cookie is a small text file that is placed on your hard disk by a server. Cookies allow our websites and mobile applications to respond to you as an individual. The website or mobile application can tailor its operations to your needs, likes and dislikes by gathering and remembering information about your preferences. You can choose to accept or decline cookies. Most web browsers automatically accept cookies, but you can usually modify your browser setting to decline cookies or receive a warning before a cookie is stored if you prefer. Please refer to your Internet browser’s instructions or help screen to learn more about these functions and to specify your cookie preferences. If you choose to decline cookies, you may not be able to fully experience the interactive features of our website. 3. the use that others make of these websites. Please ensure you check the legal and privacy statements posted on each website or mobile application you access before entering any PII. We may occasionally update this Privacy Statement. If the changes we make are material, we also may post a notice regarding the changes on our website. We encourage you to periodically review this Privacy Statement to stay informed about how we are helping to protect the PII we collect. We may also collect legally obtained information from third parties to add to our existing user databases, for example, references. Such Information will only be collected and used by us to fulfil our services to our clients and candidates.